The Peanuts comic book from Boom! Studios returns after a two-month break. In issue #9 you'll find the new stories "Write & Wrong," "LOL Lucy," "Have Dish Will Travel," and "The Dogtor Is In," along with a few Classic Sunday Peanuts comic strips. 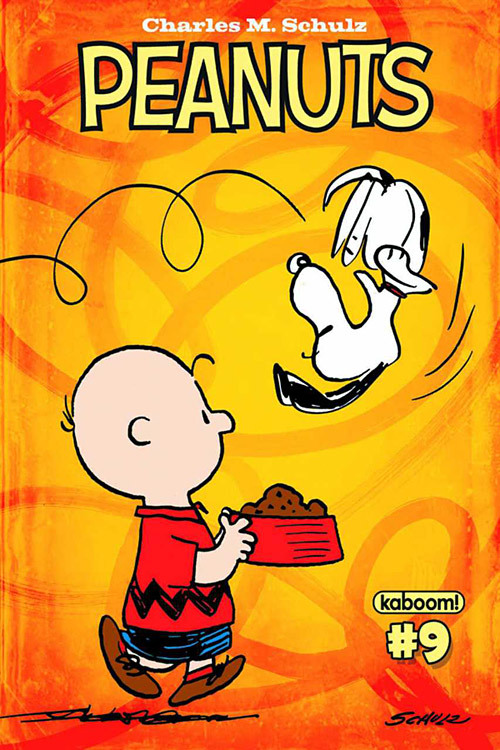 Look for Peanuts #9 at your local comic book shop, or order it directly from Boom! Studio's website.